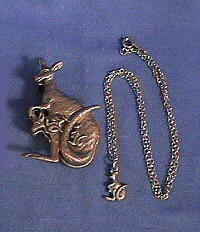 Kangaroo Crossing Sign at Animal World® looks great and is super for function or kangaroo home decor. Made of durable lightweight aluminum, it measures 12" diamond square, has a hole for hanging and is packaged in clear plastic. 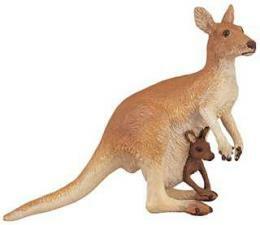 Shop our Kangaroo Gifts at Animal World® page for all our Kangaroo Theme Gifts. Shop our Animal Crossing Signs II at Animal World® for our complete selection of animal crossing signs.